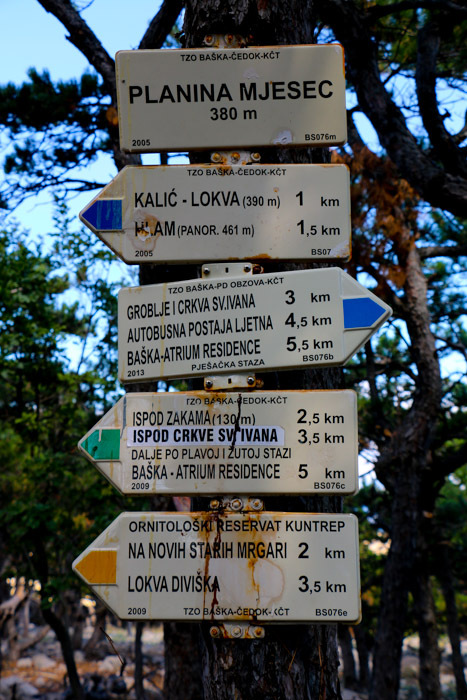 Many tourists from around the world travel to Krk Croatia each year. Find out what's so amazing about this beautiful island that keeps tourist returning every year. 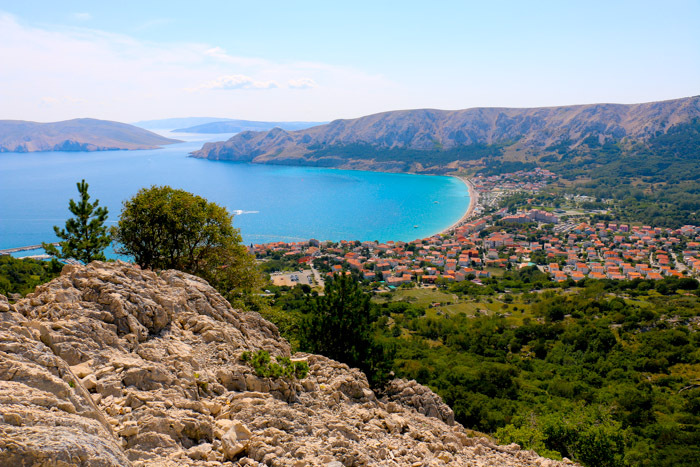 Baška and its vicinity are a very popular hiking spot for everyone who loves climbing, walks, hiking, cycling and mountaineering. How could it not be, since it offers various awesome walking paths and cycling trails not to mention the wonderful vicinity and views, that are offered to the hikers on every corner and plus there is an amazingly clear sea… ah, a true paradise. Hiking trail to Hlam also called “Moon’s Trail” begins by the church of St. Ivan and its cemetery above Baška. This spot by itself is a wonderful post, since the view of the Baška’s seashore is breath-taking from here already. I’ve been here several times this summer and I have not gotten tired of this view so far, it never ceases to impress me. After approximately 100 meters along the path you get to the ruins of another church, made of stones which is giving the place a special mystical hint and makes the trail more interesting at the very beginning. Path is very tidy and one can walk on it very comfortably, it’s still better to wear hiking shoes, but you also do it in regular sports shoes, it should not be a problem. Nature along the way is different to what we are used to in Slovene hills, it’s a bit more stony and it has mediterranean pine trees, which smell really nice and remind you of being next to the sea. Along the trail there are several spots where a wonderful view of the “Vela beach” in Baška opens up, which is shinning in astonishing turquoise blue-green colours and takes your breath away with its beauty. You cannot get enough of this view, I am telling you. As I mentioned the trail is also called “Moon’s Trail”, because the terrain on top of Hlam looks like moon’s surface. Seems like there is an invisible line separating the pine trees wood and bushes from an almost completely bare surface, full of stones and some really small plants and mountain flowers. It’s a fascinating image – talking about a dramatic turn:) Trail to Hlam is marked with blazes all the way and leads around stone walls, built as a protection against wind and erosion and as a protection for the sheep, which are a common sight in the nearby hills. Along the way you can also have a sweet snack, causee there are delicious wild brambles growing in a lot of spots, right next to the walls, since they are protected from the strong wind there. On top of Hlam an amazing view of Baška opens up, of the sea, island “Prvič” and other nearby islands and mainland. Because there are not many people up there, when we were up, there was none, the place is a really peaceful and relaxing spot, where a person can mentally rest and gather energy for new challenges. 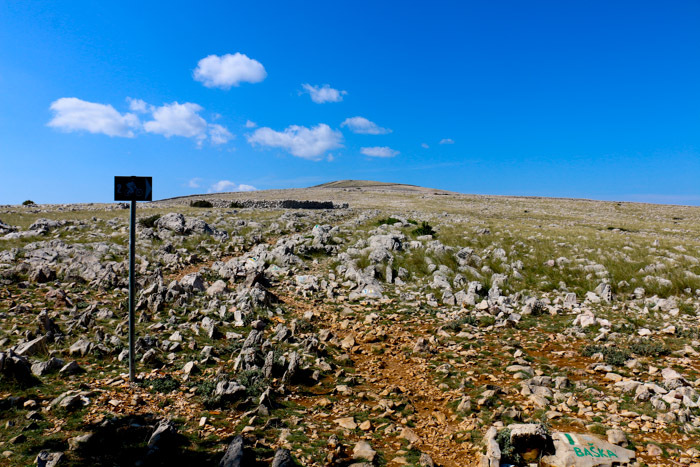 A really great hiking trail, not too intense, appropriate for almost anyone, the climb only lasts around an hour and a half – I really recommend it. If you want to discover Baška and its hiking trails, we also warmly recommend the Hrabrić apartments http://www.krkcroatia.net/apartments-hrabric-baska-apartments-krk/ , a little bit ouside of Baška, located almost in the centre of all the hiking trails, besides that they offer their guests a private pool, free parking spot in Baška, close to the beach and super prices of accommodation.